As the final season of Game of Thrones fast approaches, some people are looking ahead and wondering – what are we going to do afterwards? 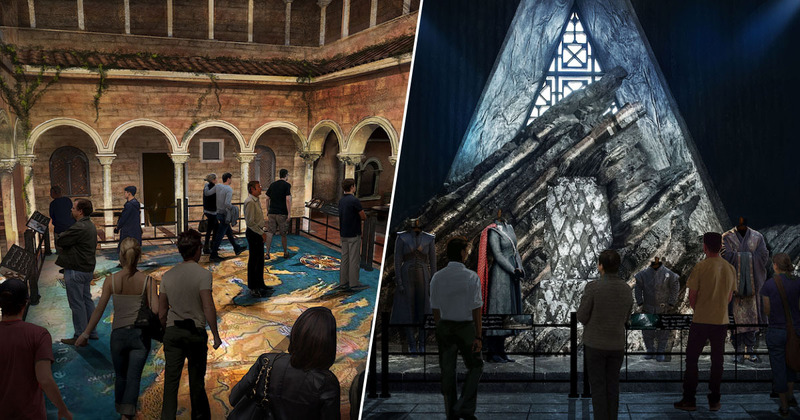 HBO has taken inspiration from Harry Potter – but don’t worry, they’re not retroactively changing loads of things about characters and plot lines – instead they’ve announced a studio tour, which will be open to the public from spring 2020. Considering the detail that goes into every scene of every episode of every season, you know there’s going to be a lot to take in. It’ll be located in Linen Mill Studios in Banbridge, Northern Ireland — the original filming location used for many memorable scenes throughout the run of the series. The tour is set to bring to life the environments we’ve all come to know and love since the show began. From King’s Landing, Winterfell, Dragonstone, The Wall and the lands beyond, to kingdoms across the Narrow Sea like Mereen and Braavos. It will also encompass the painstaking work of the Production Design and the Art Department teams, without whom the show would not have the signature look and feel it does today. As HBO hide a number of thrones around the world for lucky fans to find, it seems the rest of us will soon be able to perch on the Iron Throne in the future too.